Cape Town isn’t just an incredibly cosmopolitan city; it’s also one that offers a huge number of family-friendly activities suitable for all ages. Indoor and outdoor activities are available in abundance and whether it’s exploring the great outdoors or learning more about local culture, there is something for everyone to enjoy. The upmarket suburb of Camps Bay is a favourite of many holidaymakers as it’s located right on the beach, features amazing views and offers easy access to the city centre. This slice of seaside paradise is only a 10 minute drive from the heart of the city and the Camps Bay Villas and holiday rentals situated here are ideal for a family getaway. A Camps Bay villa such as Crescent Cottage will put you within easy commuting distance of the V&A Waterfront, which is home to a number of exciting activities that will appeal to kids and adults alike. 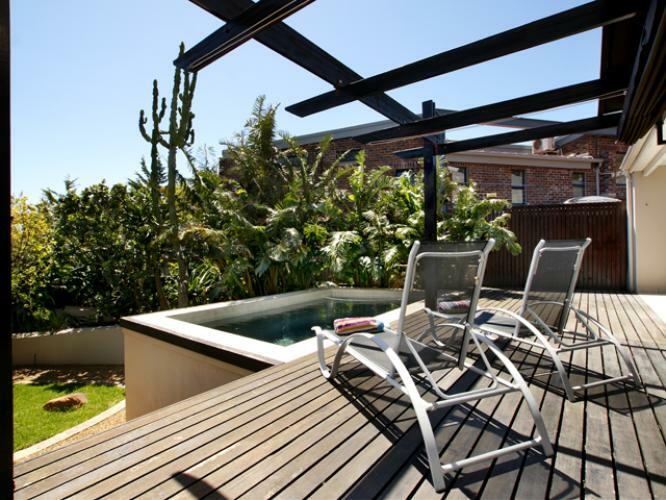 This stunning 3 bedroom holiday rental is beautifully positioned and is the ideal spot from which to explore all that Cape Town has to offer with your family. Unassuming and unpretentious, this self-catering accommodation conveys a sense comfort and its spacious wooden deck and pool is perfect for relaxing at the end of a busy day. 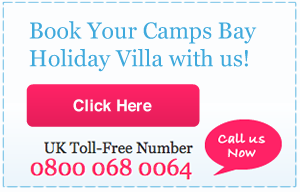 Your children can play safely in the leafy green garden and the cottage is just a short walk away from the beach. At the nearby Waterfront you can pay a visit to the Two Oceans Aquarium where there are over 3000 marine creatures on display under one roof. Enthralling and educational, you can watch sharks feed, get up close and personal with penguins and spend hours checking out the incredible aquatic exhibits. Another must-do activity at the Waterfront is a visit to the Scratch Patch where you can experience the beauty of gemstones in a hands-on environment. You can scratch between 1000’s of semi-precious stones to select the ones you want, or you can purchase these incredible minerals off the shelf. When you stay in one of Capsol’s family friendly holiday homes, all this will be within easy driving distance and these activities are a wonderful way for the whole family to spend time together. For families who love the great outdoors and want to enjoy a little bit of adrenalin-filled exploring, a self-catering holiday home is the perfect place in which to unwind after a day spent whizzing through the forest or zip lining down a ravine. 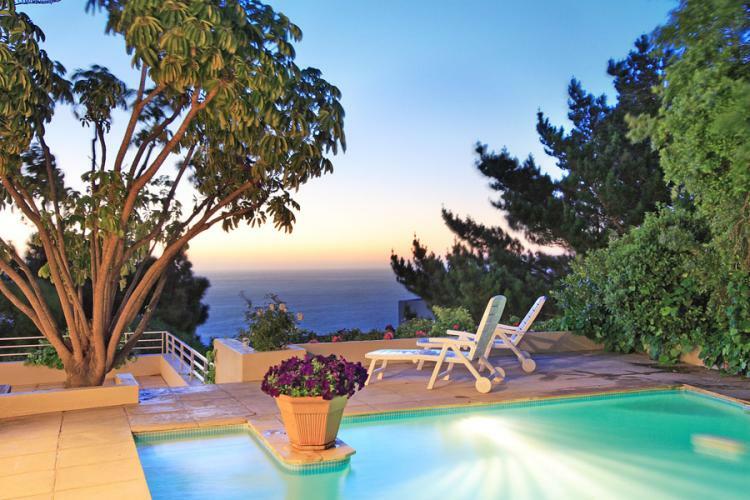 White Sails, with its stunning sea and mountain views is a 6 bedroom family friendly holiday home in Camps Bay villa. This gorgeous triplex overlooks the ocean and the heated pool, generously proportioned rooms and indoor-outdoor flow creates a great atmosphere for a family that wants to have fun together. A short drive round the mountain past the pristine beach at Llandudno and the harbour-side suburb of Hout Bay will find you in the Constantia Valley, where you can set off on an outdoor adventure unlike any other. Acrobranch offers a unique treetop experience that combines an obstacle course with sightseeing. Age-appropriate courses have been set up in the forest and you’ll move from tree to tree by zip line, nets and Tarzan swings, working your way around obstacles and enjoying the superb natural beauty that surrounds you. There’s fun for the whole family in Cape Town and theatre performances, museum tours and other enthralling activities will immerse you in local culture. If you or your kids love painting then artjamming is a wonderful bonding activity and you’ll come away with an artwork to remember your holiday by. If learning more about the local wildlife is appealing, The World of Birds in Hout Bay is South Africa’s largest bird park and its fascinating walk-through displays offer great educational entertainment suitable for all ages. After spending the day getting creative or intimately acquainted with wildlife, there’s nothing better than sitting round the dinner table and sharing your experiences with one another. With its wooden deck and uninterrupted views, Camps Bay Manor offers excellent accommodation for a close knit family. This tastefully decorated yet casual family friendly holiday home features art deco furnishings, and with a dining area that opens out onto a balcony, you can enjoy all the pleasures of open plan living that encourages togetherness but still offers the ultimate feeling of space. 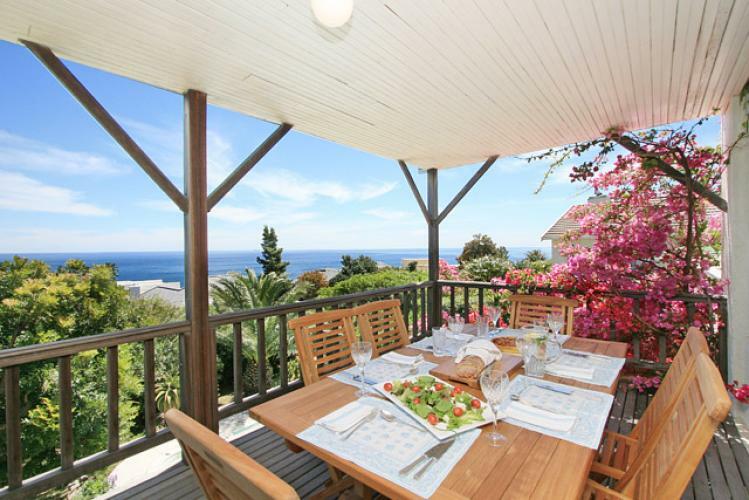 Holiday like a Camps Bay local in one of these 4 bedroom villa rentals. Camps Bay provides an excellent base for any family wanting to explore Cape Town. An endless array of exciting holiday activities can be enjoyed, and you and your family can make memories that will last a lifetime.